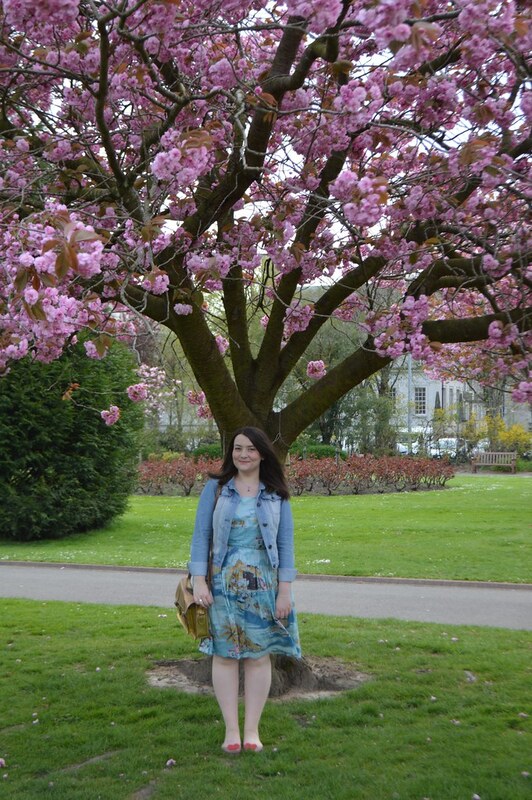 I wore lots of my favourite things on Sunday for a stroll around Cardiff with Martyn. 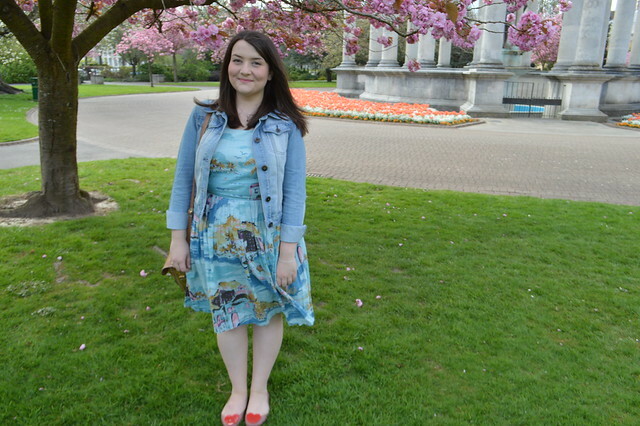 This seaside print Boden dress was my go-to summer outfit of choice last year and I saw a little bit of sun peeking out behind the clouds so I decided to dig it out of the back of my wardrobe and give it its first 2015 outing. The jacket cost all of £4 on eBay and has been worn hundreds of times and my gold Zatchels bag has seen better days but I won't ever part with it. My fun Mel jelly shoes make a nice change from the boots and black pumps I've been wearing all winter. 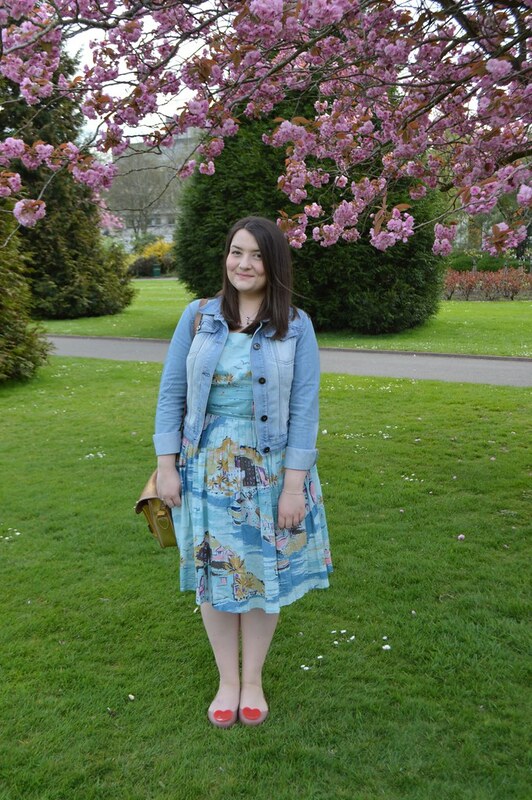 My outfit was definitely spring appropriate I think and a departure from my normal black ensembles and opaque tights. 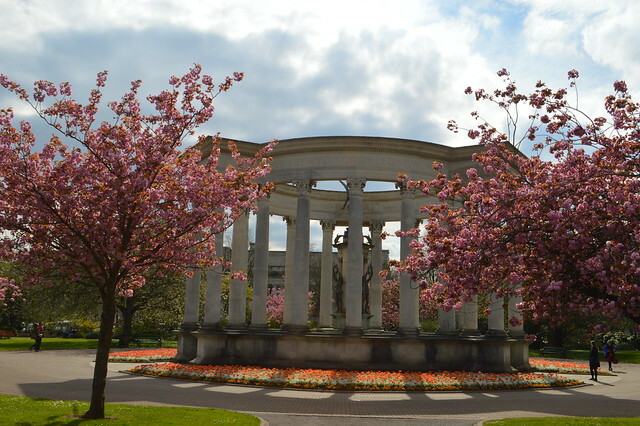 Cathays Park was in full bloom and looked magnificent. 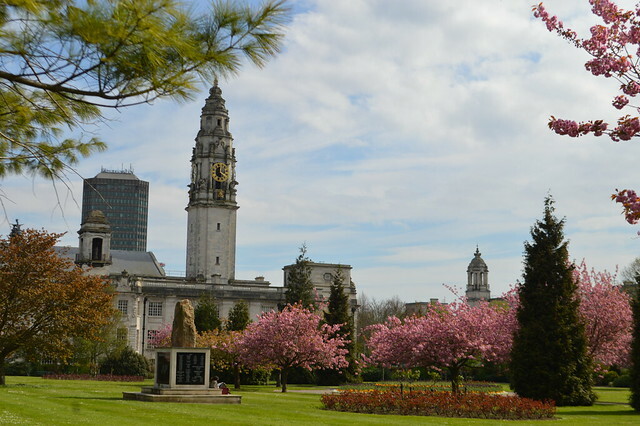 I work in Cathays so I often spend lunch time here and I'm very lucky to be able to spend time here whenever I like. 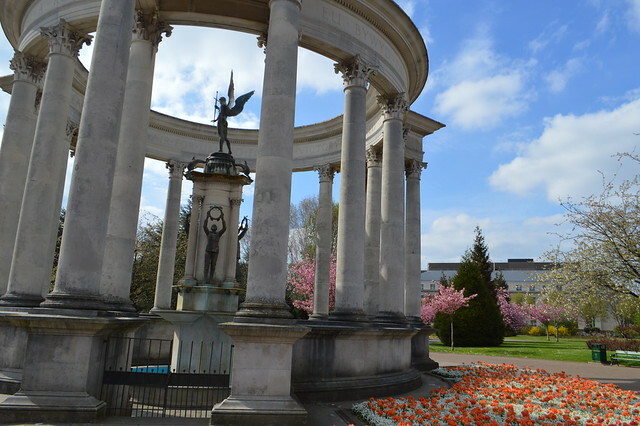 Cathays Park is home of Cardiff University (where I studied and now work) City Hall and lots of other lovely civic buildings. It's only a five minute walk from the high street so well worth a visit if you come to Cardiff this summer. I was feeling very spring-like decided to ditch the black tights for a day and wore some Shelina tights from Falke instead. They are made from a fine 12 denier fabric but with an 8 denier appearance, are super soft to the touch and feel breathable and light. I don’t think anyone would know I wasn’t bare legged. They are very fine but are strong enough for every day wear and they were designed to fit longer legs so I didn’t need to keep on yanking up my tights. I struggle to find tights pale enough for my blue/white legs but these were the perfect match. Are you embracing lighter colours for spring or are you still head-to-toe in black? 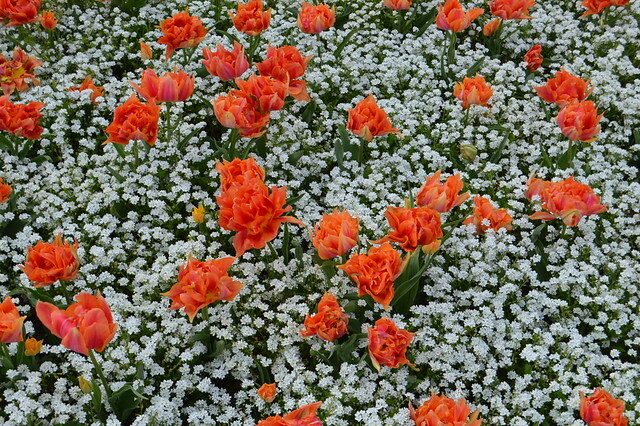 Ah no wonder you've dug this dress out - it's such a beauty! i don't think i'm embracing as such, i still just wear mostly navy but i'll be in short sleeve shirts soon. that seaside print is pretty cool. Thanks Matt, it makes me want to head to Brighton or at least Barry Island. You look beautiful here, I really love that dress!